Roblox is a popular online entertainment platform, where you can create games and play with other gamers in various virtual worlds. Roblox is available for PC, Mac, Android, iOS, Amazon devices and other operating systems. When it comes time to remove Roblox from your device, you should know how to do this properly. In this article, we want to share two ways to completely uninstall Roblox on a Mac. How to manually uninstall Roblox Studio. How to uninstall the Roblox Studio App automatically. The first thing you should do before removing the Roblox app is to quit the app and stop all the processes related to it. 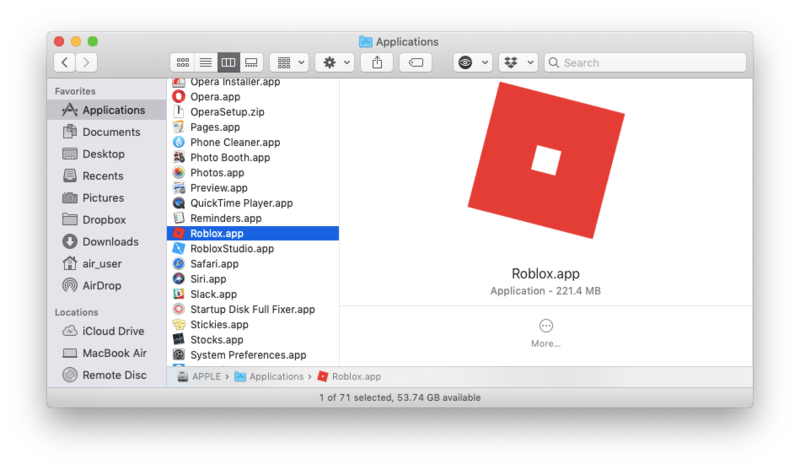 You should also remember that when you run the automatic installation of Roblox, it installs two applications on your Mac – Roblox and Roblox Studio. To ensure that all processes of Roblox are finished, use the Command + Option + Esc key shortcut. This will open a Task Management window. If Roblox or Roblox Studio are included in the list of launched programs, select them and click to Force Quit. The next step is to open the Applications folder, select the Roblox Studio and Roblox icons and drag them to the Trash. Open Finder → click Go in the Finder’s menu → Go to Folder → in the window that appears, type ~/Library and click Go. 4. Empty the Trash bin to completely uninstall Roblox on your Mac. While the manual method takes your time and requires some technical skills, the automatic method is much easier and safer. Thanks to third-party uninstallers like App Cleaner & Uninstaller, you can delete Roblox from your Mac in just a few clicks. 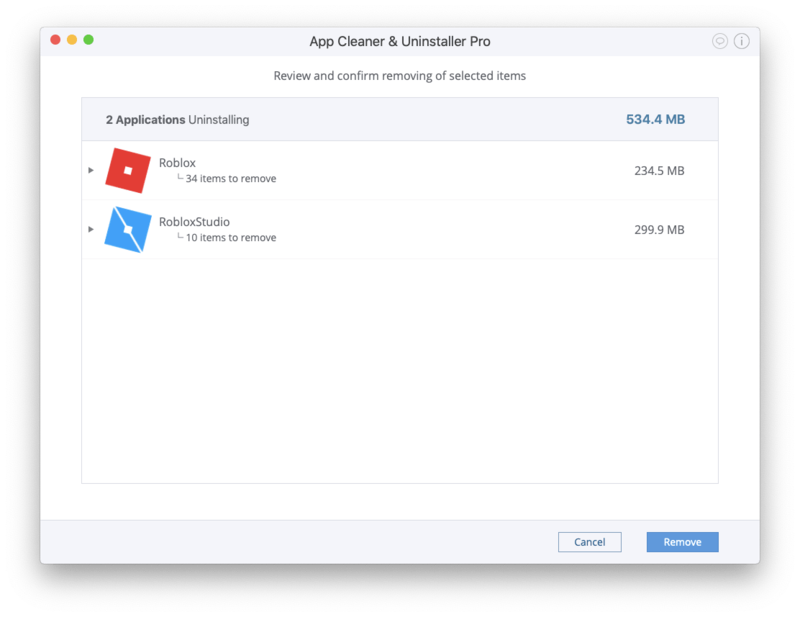 App Cleaner & Uninstaller is a software tool, which serves to totally remove applications and all their service files from a Mac in less than a minute. It is compatible with OS X 10.10 and higher and perfectly uninstalls more than 1,000 apps on a Mac. Select Roblox and Roblox Studios from the list in the Applications tab. All their service files will be selected automatically. Click the Remove button in the bottom right corner. The correct and entire removal of applications on a Mac is important as it impacts your computer’s performance. You can choose the manual way to uninstall Roblox on your Mac, but we recommend that you download the App Cleaner & Uninstaller free trial and experience its benefits.